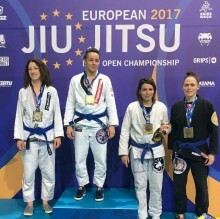 The 2017 European Jiu Jitsu IBJJF Championship is currently underway in Lisbon. Over 4,000 competitors from across the world are competing in the biggest Brazilian Jiu Jitsu tournament this side of the Atlantic. This article highlights 11 amazing facts about the dramatic rise of the women's divisions at the competition.